Establishing brand recognition and visibility including its existence, its values, and its services for an online educational supply company. To establish brand recognition for an young upcoming online company whose target market includes K–12 educators. 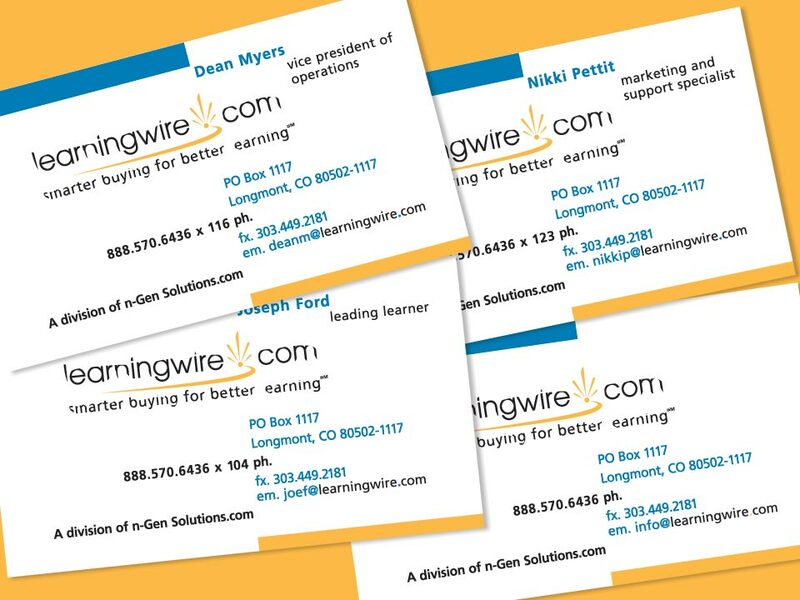 LearningWire.com was an online store for educators to shop for products geared for their classroom. They provided innovative products and programs to teachers and schools to ensure students from K–12 receive the full support they needed to reach their full potential with the help of educational materials. To establish a young and upcoming brand, Heat Design Group began research to design a logo on based on feedback from staff at LearningWire.com and their customer surveys. 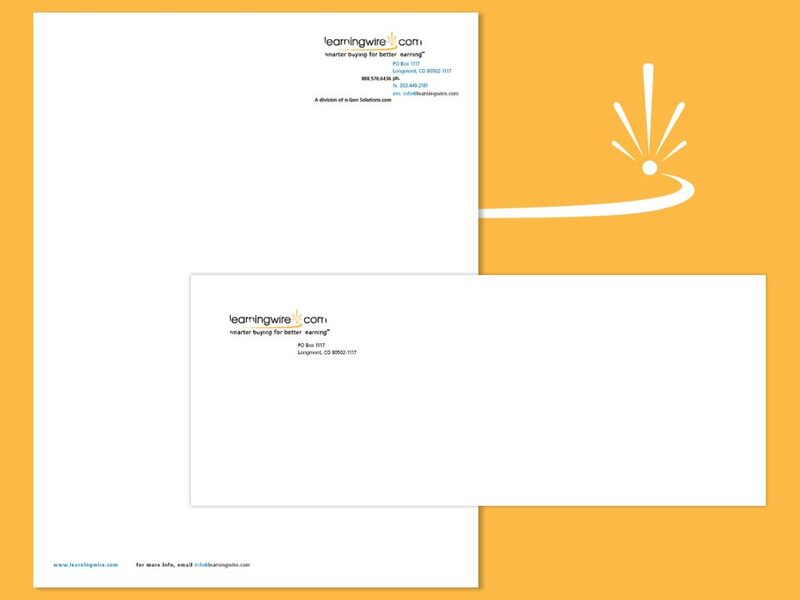 From there, a stationery package which consisted of a letterhead, envelope and business cards was developed. The first step of the process was to create a logo design that defines what Learning Wire is all about, growth through the sale of its discounted online products and forward thinking to exceed the expectations of the educators it serves. Next, a stationery package had to be created. Since the major focus was online transactions of educational products for instructors, the stationery package was best suited to keep printing costs on a small scale. Upon roll out a young brand was established through the use of the logo, business card, letterhead and envelope.